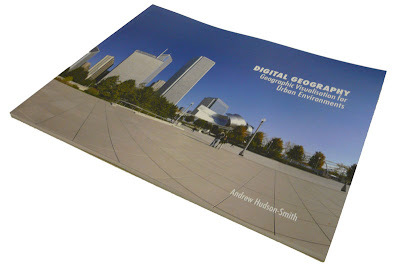 We are pleased to announce the availability of our booklet: Digital Geography – Geographic Visualisation for Urban Environments. Printed in full colour the 10 x 8 inch booklet runs to 64 pages of insights and tutorials on Virtual Earth, Google Earth, Google Maps, Panoramas and Second Life. 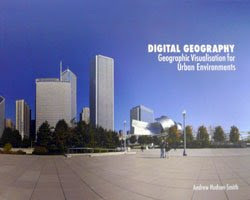 With a focus on Neogeography, Web 2.0 and the various emerging techniques for urban visualisation the booklet has been written as a preview to the forthcoming Digital Urban ‘recipe book’ to be published fourth quarter of 2008. The booklet is being sold at below cost price on a limited edition basis and is available now. Alternatively you can fill out our Order Form (download in .doc or .pdf format) and FAX it direct to our offices at +44 (0)20 7813 2843. Payment is £9.99 per booklet with world wide postage and packing free of charge. If you have any questions drop us a email or use the usual comment link. We hope you enjoy the booklet…..
my mail bounced back yesterday. I’m just trying to confirm when I could get my hands on this fantastic booklet. am eagerly awaiting to receive a copy. Has it been published yet or is it still undergoing changes? This booklets will make a nice Christmas gift for myself.